Situated in Khun Han of Sisaket Province, Wat Pa Maha Chedi Kaew or the Million Bottle Temple was built to draw attention to the need to recycle and adopt a sustainable lifestyle. 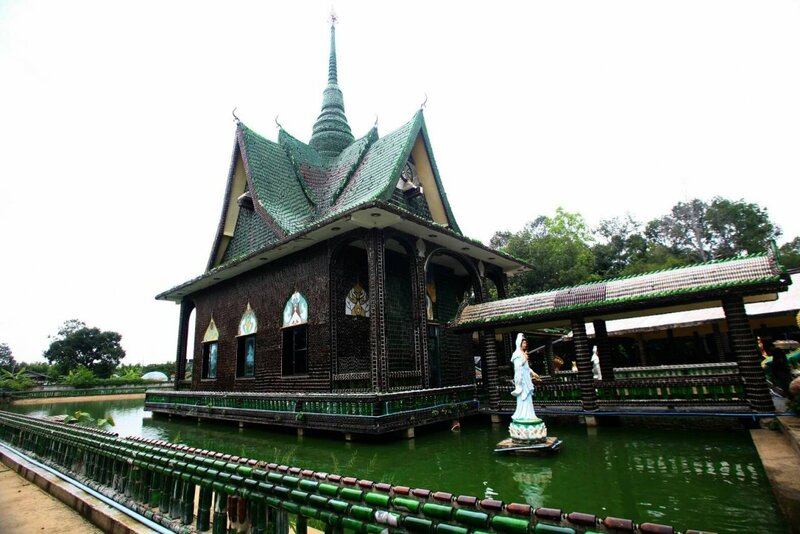 Work started in 1984 after the monks invited locals to help collect empty green Chang and Heinekan beer bottles. First came the temple and one and a half million bottles later a crematorium, water towers, sleeping quarters and and ablutions. Bottle caps were also used to create mosaics and Buddhist designs inside this unique temple.